Florida Gators vs Kansas Jayhawks Mens Basketball at home. December 10th, 2013. 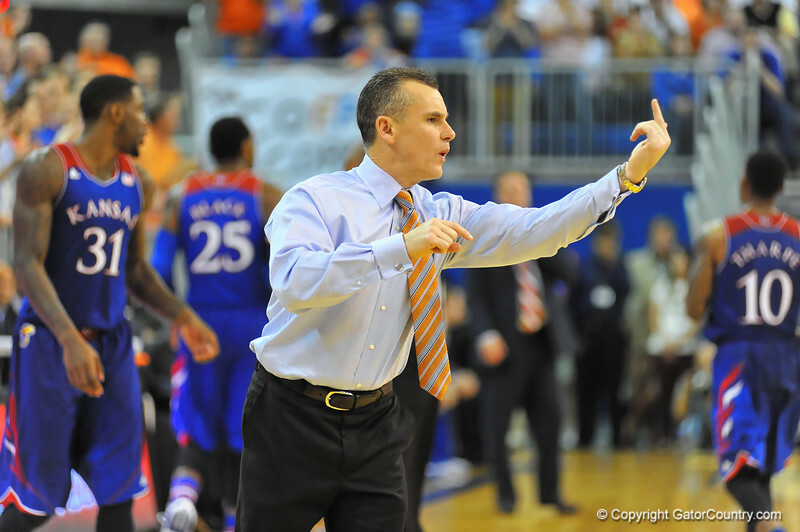 Florida head coach Billy Donovan during the second half. Florida Gators vs Kansas Jayhawks. Gainesville, FL. December 10, 2013. Gator Country photo by David Bowie.